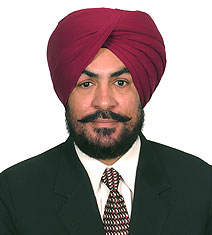 Dr. JPS Gill, joined as Director of Research. He is a renowned academician and a leading researcher for the last 26 yrs. He is also the Adjunct Professor at University of Saskatchewan. Dr Gill has vast research experience of managing 28 research projects as Principal Investigator (PI) & Co-PI and has successfully developed seven International Collaborations and Research Proposals with University of Saskatchewan, Canada; Canadian Food Inspection Agency; University of Sydney, Australia; Princeton University, USA; Royal Veterinary College London UK; Free University Berlin, Germany; London School of Tropical medicine and Hygiene UK.